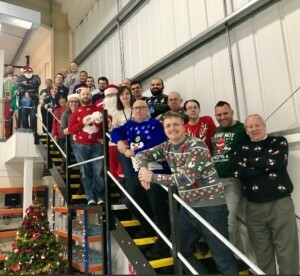 On Thursday 21st December, Lincad held its annual Christmas Jumper Day and everyone’s festive-themed winter woollies were on display, no matter how weird, wonderful or silly. This year the Lincad team raised £150 for the All Night Cafe in Camberley which provides free home-cooked meals, complimentary drinks and refreshments for veterans and the homeless in the area. Completely set up and run by a team of dedicated volunteers, with no statutory funding or formal support, the Cafe relies on goodwill, community fundraising and donations.